Resting in the waters of Palawan (a province made up of 1, 780 islands) El Nido Resorts are a group of eco retreats located in what’s known as the Philippines’ ‘last frontier’ – an unspoiled sanctuary of islands. Surrounded by picturesque lagoons, secret caves, verdant mangroves, dreamy sand bars and even one of the New Seven Wonders of Nature (the Puerto Princesa Underground River) it’s difficult to top the location. Each resort has its own style, but they all offer incredible service and action-packed activities. From kayaking into the depths of the blue lagoons to fishing at sunrise and learning how to dive or windsurf, El Nido caters to the adventurer. If you’re more inclined to bask in the sunshine and wind down, the spa facilities also accommodate R&R. Miniloc is for anyone in search of a fun and dynamic holiday. 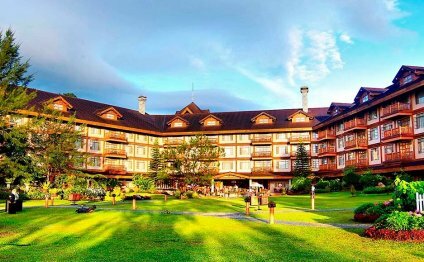 Its rustic Filipino charm attracts positive energy, and is perfect for a group trip. Surrounded by crystal-clear waters and a vibrant green jungle, come to Miniloc to immerse yourself in Filipino nature. Try feeding jackfish in the morning and pay a visit to Entalula to climb and try some fresh buko (coconuts). Lagen caters to all your needs. Sheltered by an abundant forest with a wealth of wildlife, guests can enjoy the sustainable habitat, hopefully spotting monkeys and exotic birds along the way. Request a private dinner on a sandbar under the starry night, or sip a kalamansi cocktail in the pool bar. Pangulasian is an ideal retreat for a honeymoon, or could just be somewhere to get away from it all. Walk along the mile-long white sand beach or explore the depths of the marine sanctuary at your doorstep. Laze in the sun all day and delight in their delicious and extensive menu. Take a hike to the top of the mountain and gaze at the breathtaking sunsets and sunrises. Treat yourself to their luxury amenities or explore the surrounding islands with their personalised activity services. While there, ask for Raffy – the best guide – he’ll take you to some of the hidden spots. The secret beach is not to be missed. Liloan (Alternate spelling: Lilo-an) is a 1st class municipality in the province of Cebu, Philippines. According to the 2010 census, it has a population of 100,500 people.